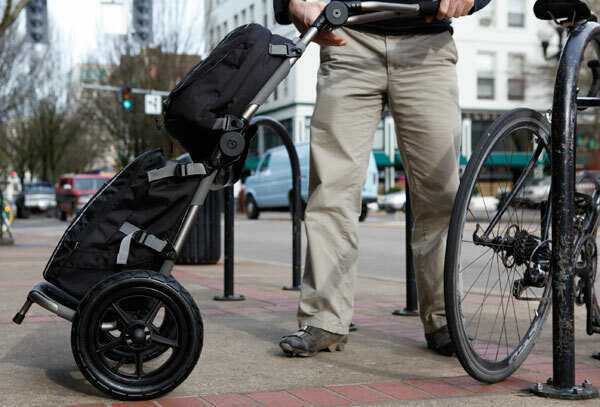 Long-established American bicycle trailer maker Burley has launched an ‘Urban Trailer System’ which has been winning awards left and right; among them a prestigious Eurobike ‘Gold’. 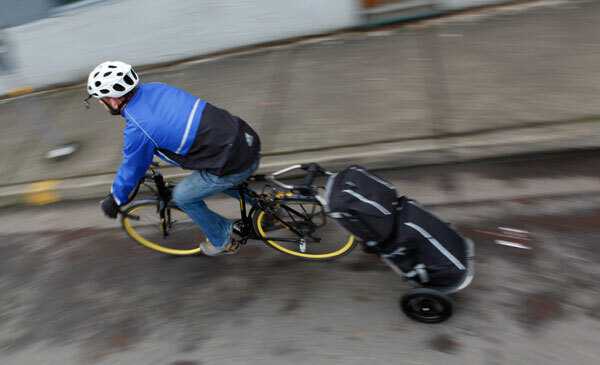 Burley claims that the Travoy offers a significant improvement in load capacity and stability over standard panniers or backpacks, although we notice that this trailer, unlike some, does not preclude the use of a rear rack. The experts seem to agree because, apart from the Eurobike Gold, Travoy recently won a similar award at a bike show in Amsterday; pretty much the epicenter of practical, everyday cycling. What mainly appealed to us, though, is how the trailer, once unhitched, quickly folds down in two stages; first to act as a hand trolley so you can walk it into the supermarket or office, and then fold flat to pack into its own bag for storage. 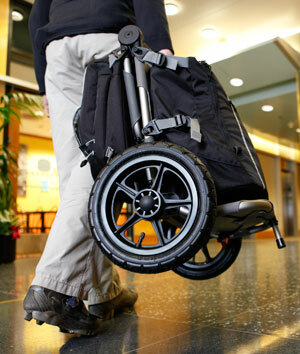 The Travoy weighs 9.8lbs / 4.4kg and carries up to 60lbs / 27.3kg. The width at 16.5” / 41.9cm and is designed to be no wider than any bike’s handlebars – if your ‘bars will fit through a gap, so will the trailer – and, although we haven’t tried this yet, Burley claim it’s well-nigh impossible to tip over due to the clever design of the elastomer-based hitch. The price with a simple capacious cargo bag that also functions as its own carry/storage bag is £289.99. 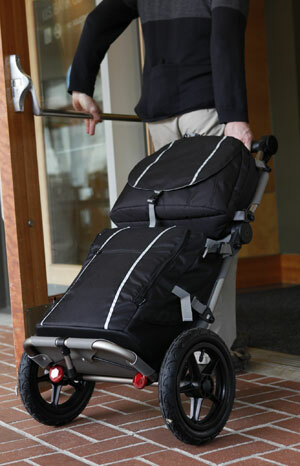 There are also optional additional bags and extra hitches for your multiple bikes.